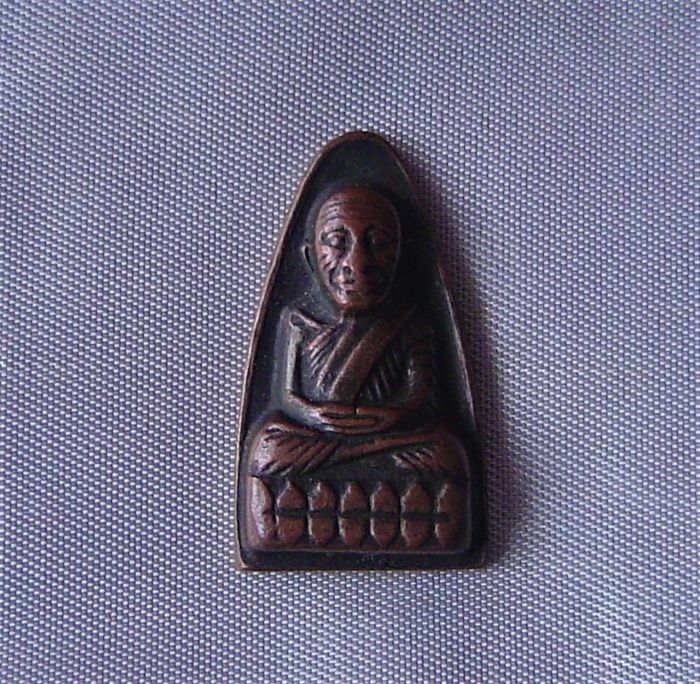 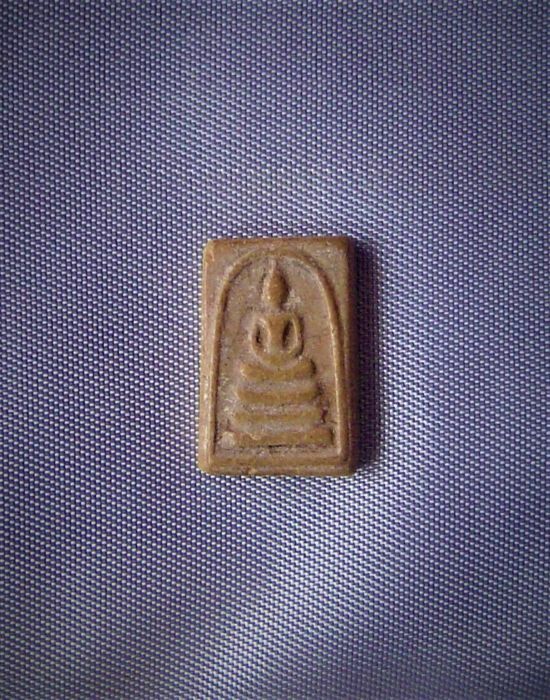 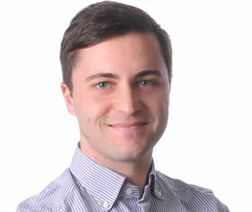 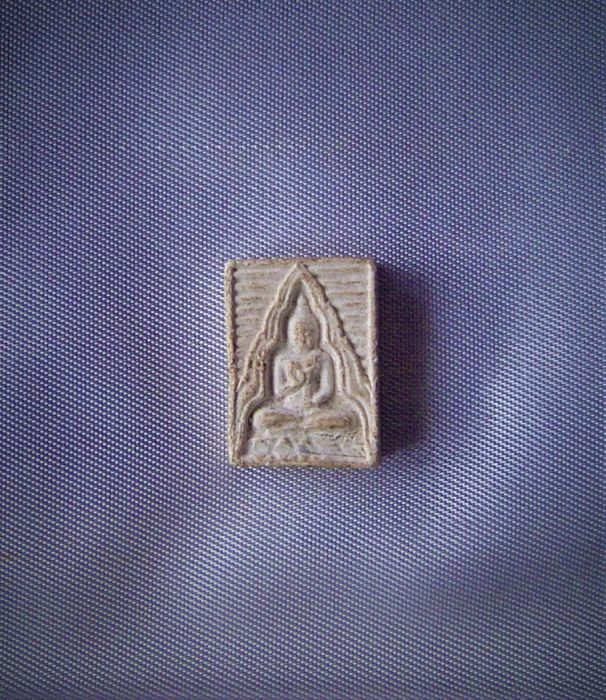 A RARE Pra Dhammakhan/Pra Wat Paknam Roon Si (4th lot), Pim Piset, Pim Lek. 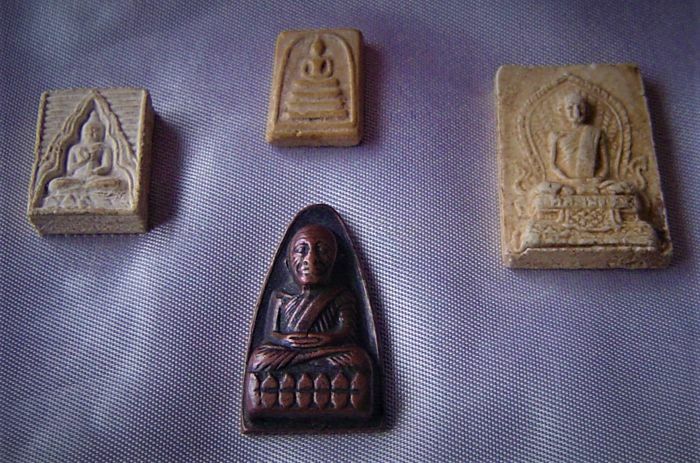 A small-sized, a special amulet, and a limited edition amulet made by Prakru Pawwana Pirom of Wat Paknam Pasrichareon, Bangkok in BE 2514 (CE 1971). 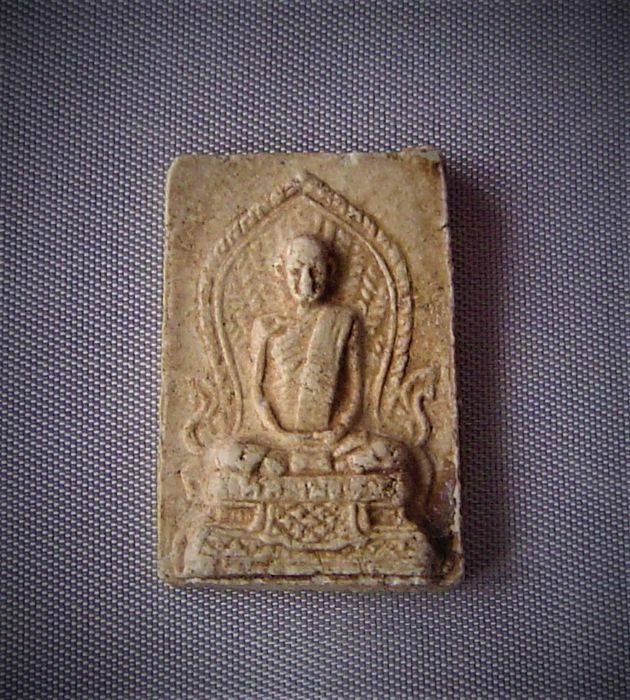 It was mixed with the remaining holy powder, and crushed holy powder from error amulets of Pra Kwong Kwan Wat Paknam 1st, 2nd and 3rd lots that were made by LP Sod himself, and kept in the jars at Wat Paknam Pasrichareon. 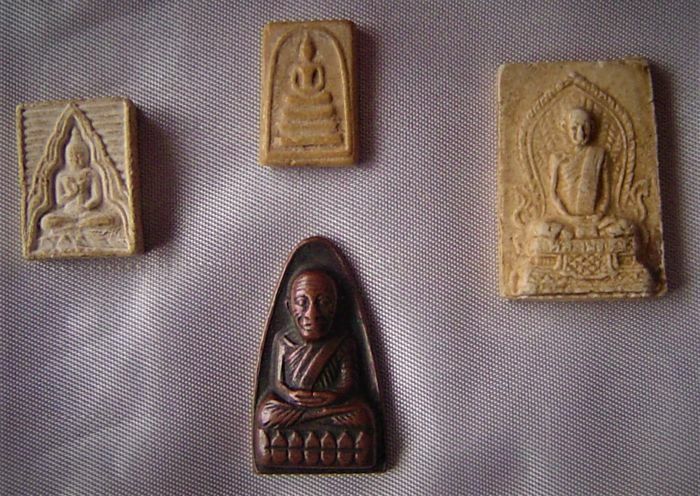 2) Pra Somdej Wat Rakang, Pim Tarn Sam Chan. 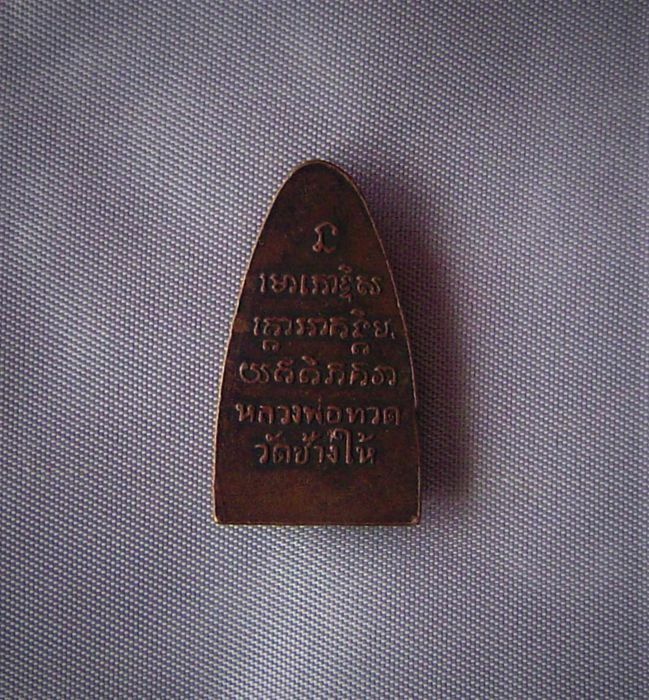 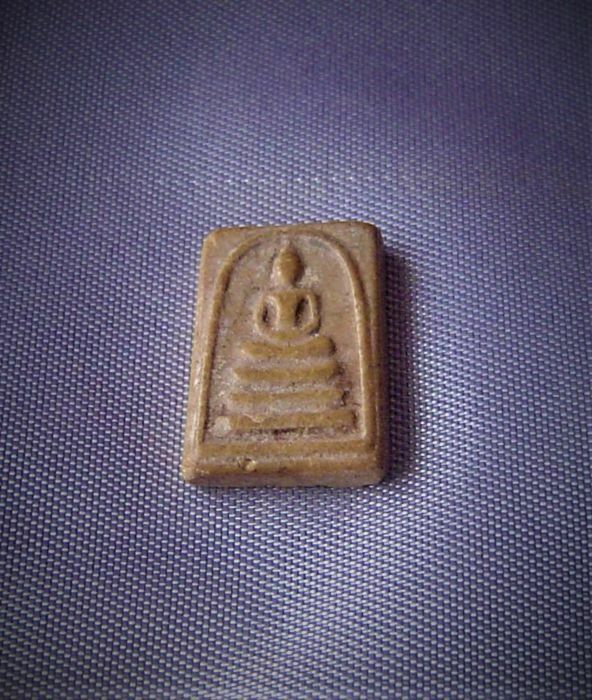 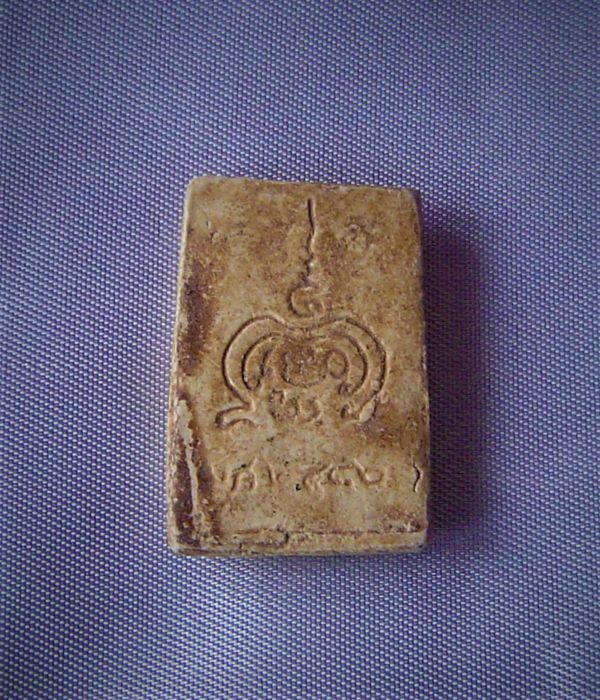 A small amulet with three levels, made by LP Hin BE 2442/2521 of Wat Rakang, Bangkok, BE 2488 (CE 1945). 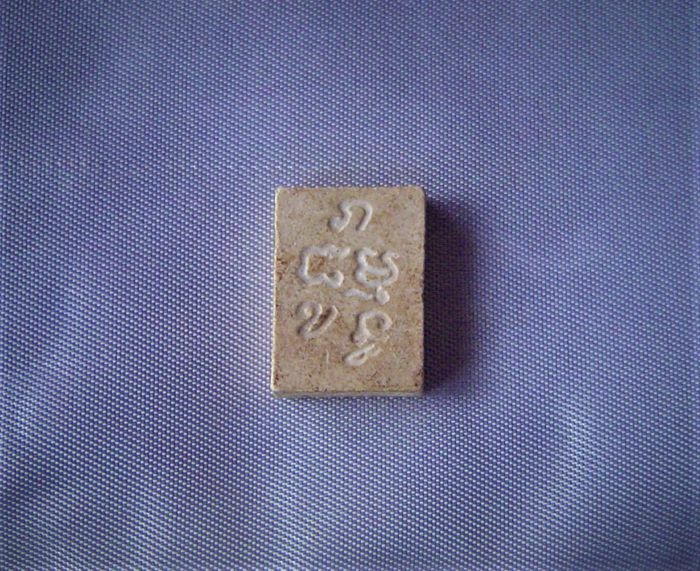 3) LP Derme or Toh, protective yant on the back, before or after 1950.